A 13-year-old girl who was stabbed to death Thursday morning in Israel by a Palestinian terrorist who broke into her bedroom was also a U.S. citizen, the State Department confirmed Thursday afternoon. Hallel Yaffa Ariel, who was living in the West Bank area of Israel, was killed by a Palestinian terrorist as she slept, according to Israeli reports. A State Department spokesman confirmed Thursday that Ariel held American citizenship. 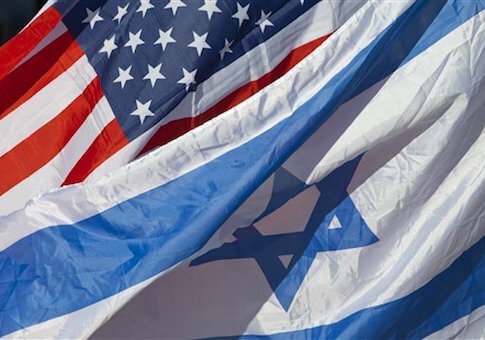 The terror attack, which follows in a long line of similar incidents by Palestinian terrorists, was quickly condemned by U.S. officials and lawmakers. Sen. Mark Kirk (R., Ill.) told the Washington Free Beacon in a statement that inflammatory anti-Israel rhetoric by Palestinian leaders is fueling the recent wave of terror. "I strongly condemn the horrifying murder of Hallel Yaffa Ariel, of blessed memory, a 13-year-old girl stabbed to death in her sleep by a Palestinian terrorist," Kirk said. "Our thoughts and prayers go to the Ariel family, and Americans stand with Israel in demanding that Palestinian leaders end, once and for all, their ongoing incitement of deadly violence against innocents." This entry was posted in National Security and tagged Israel, Mark Kirk. Bookmark the permalink.